WASHINGTON (AP) — Bernie Sanders' presidential campaign says the Vermont senator has been treated at a walk-in clinic for a minor injury while campaigning in South Carolina. 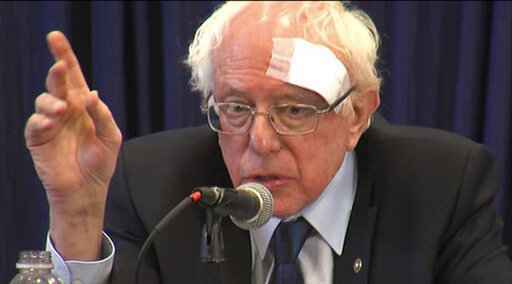 Campaign spokesman Arianna Jones told reporters that Sanders cut his head on the edge of a glass shower door Friday and went to a walk-in clinic. She says the 77-year-old Sanders received a half-dozen stitches and was given a "clean bill of health."